If your traveling on Highway 90 through (or to!) 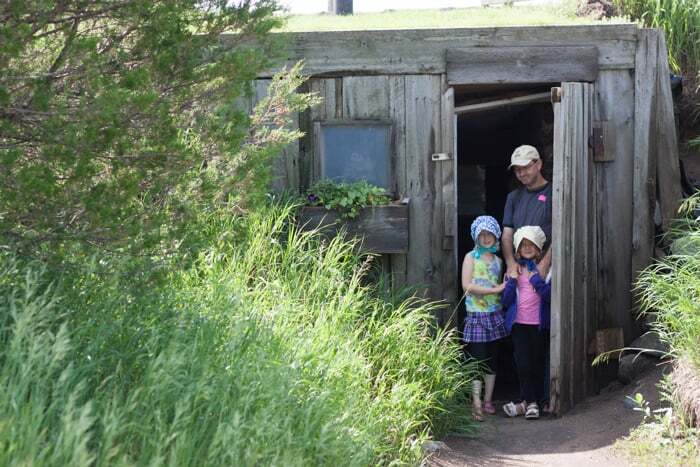 South Dakota, the Little House on the Prairie Homestead in De Smet is a wonderful afternoon experience for kids. 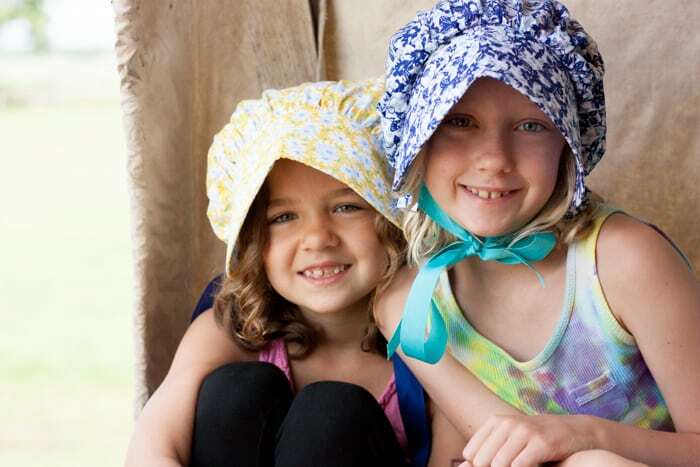 Create lifelong memories and spend the day exploring Laura Ingalls Wilder’s childhood home. Get a photo tour below! Growing up in Wisconsin, I’ve always been a fan of Laura Ingalls Wilder. 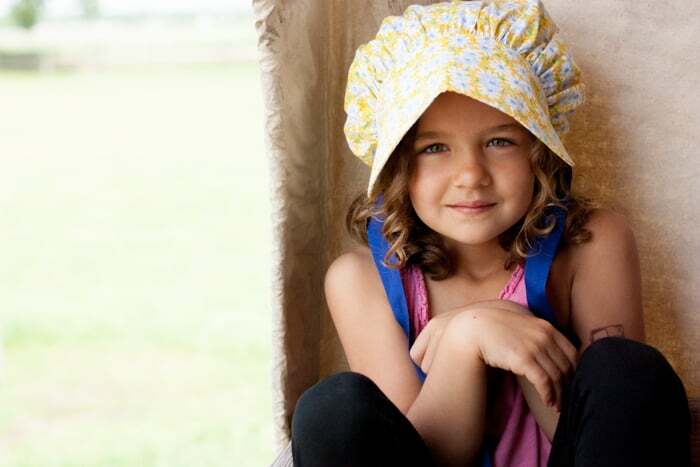 Being a parent has allowed me to experience the joys of The Little House on the Prairie with new insights. Our family took a trip out to the Black Hills over the summer. On the way home from the National Park we had the opportunity to stop at the Ingalls Homestead in De Smet South Dakota. If you’re planning a trip to the area, I highly recommend getting off the main highway and checking out this historical opportunity. We started our adventure at the Ingalls Homestead with a short movie explaining some of the history of the site. 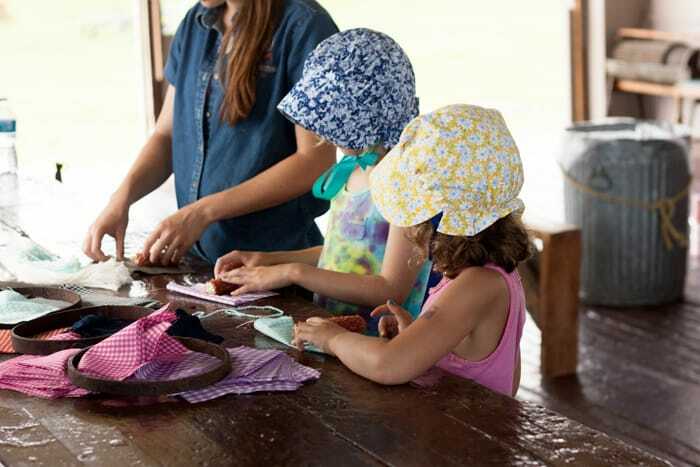 I admit the kid in me couldn’t resist getting the girls bonnets at the general store. 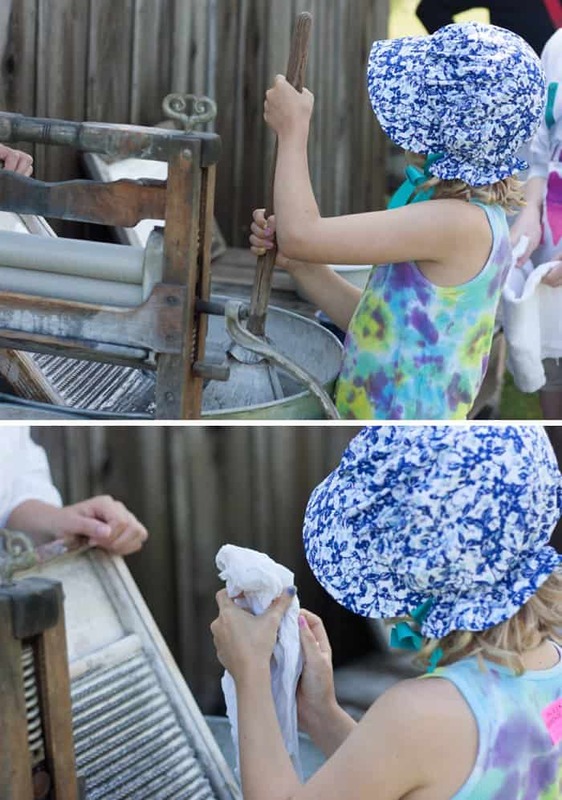 What’s a homestead tour without a bonnet? We started our tour at the dugout home where the Ingalls lived briefly while building their log cabin. The tiny single-room dugout quickly brought the girls mindset into another period. 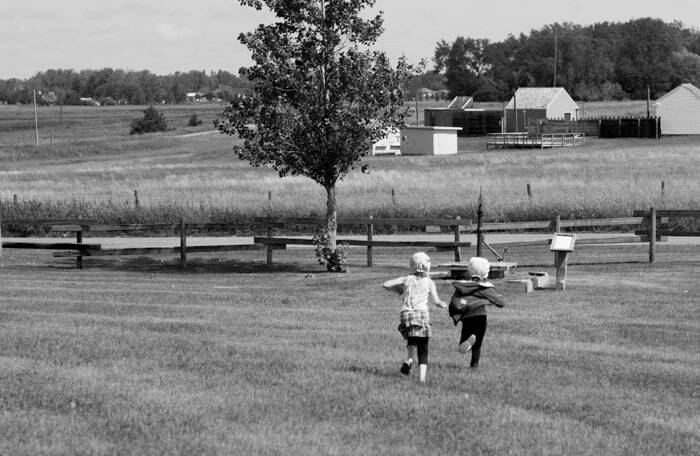 Next, the girls ran to the Ingall’s water well. The openness of the homestead made it feel like we were the only ones there. It made the entire experience relaxing. The tour can be enjoyed at the pace of your children. A hay-roof barn offered the opportunity to climb. 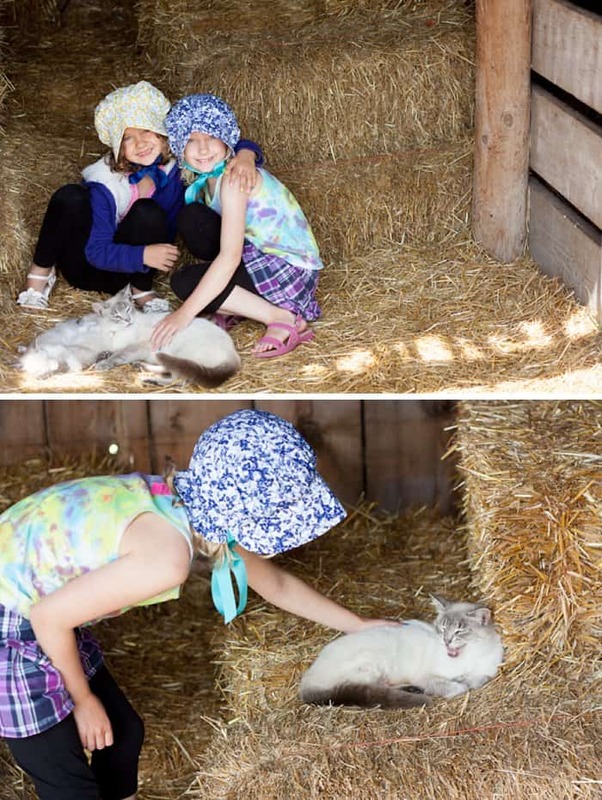 The girls were ecstatic to find a cat and her kittens. We got permission to pet them and we spent a solid thirty-minutes loving those cuties up. Finally, Quinn’s attention was captured when she noticed a woman in a dress doing laundry outside of the cabin. The girls got a hands-on lesson and immediately got to work (Instagram video). 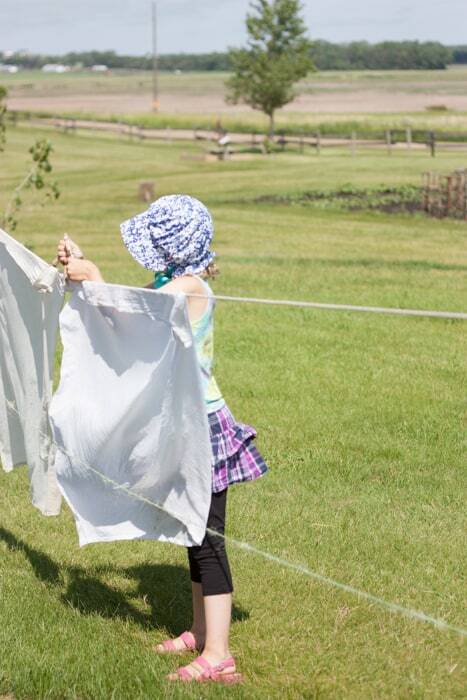 She quietly hummed as she hung the clean laundry in the summer sun. Next, we went inside the Ingalls home and explored. The girls adored their dolls. 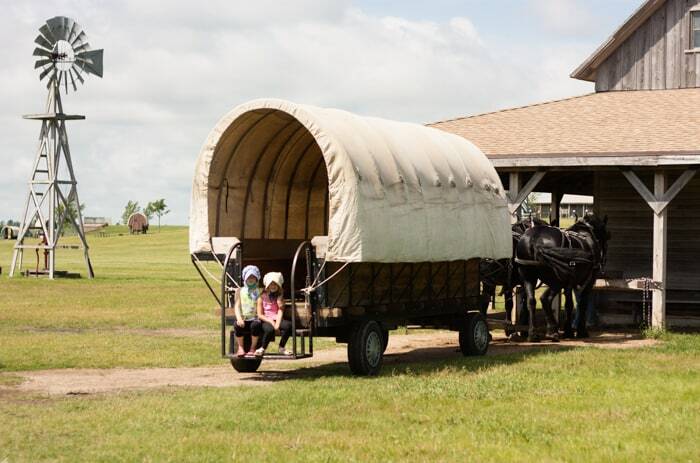 After a pony and carriage ride (Instagram video), we ended our tour with a covered wagon ride across the prairie to see a schoolhouse presentation. All and all, this photo sums up the entire experience … smiles all around. 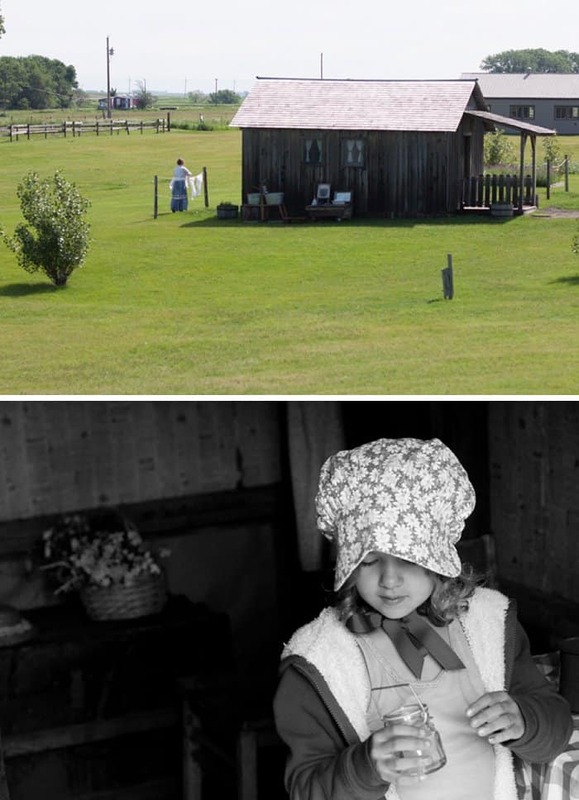 Check out the Ingalls Homestead website for additional information on planning YOUR trip. If you have any questions about our adventure, let me know on Facebook.